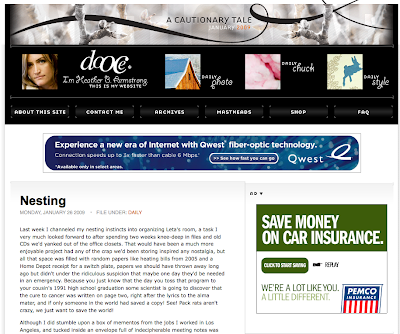 We have been longtime fans of Dooce.com. Dooce, or Heather Armstrong, is an incredibly talented woman, web designer, writer, and mom. If you have seen pictures of her house - particularly her daughter's room - featured in the kid's blog, you'd think she definately has another career in interior design if she wanted one. If you are unfamiliar, just read the About This Site section. This sums up Heather in a nutshell. In short, she is someone I would make a friend in a heartbeat. So, you can imagine how delighted we were to be featured in Heather's Daily Style section on Monday! Go ahead, go visit... yep, #2, that's us! 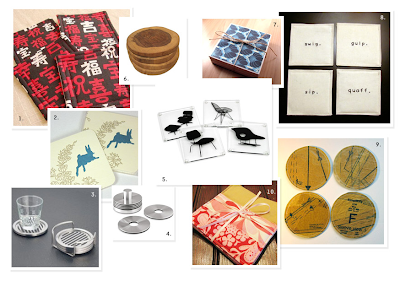 Our Rabbit Coasters, available in our Etsy shop, scored an unsolicited feature in one of our favorite blogs!